Posted by thegulfblog.com in American ME Relations. Al Hurra, the US Government’s attempt at winning the hearts and minds of the Middle East by founding and running an Arab TV news channel, has received another $112m from Congress. This is despite Al Hurra being condemned as all but useless by a raft of commentators. It is widely (and correctly) seen as little more than US government propaganda. Witness, for example, Al Hurra’s ridiculous decision to continue to show a cooking programme when news that the founder of Hamas Sheikh Ahmad Yassin had been assassinated by an Israeli air strike was breaking. Yet, because of governmental inertia when it comes to projects such as these and sunk-cost accounting there is no end in sight for the $650,000,000 white elephant. This is horrible news. I am fairly confident that the US Government could win more hearts and minds by funneling the Hurra money to a massive program to create culturally sensitive fluent speakers of Arabic. Scatter them about in the Arab world and have them talk to real people. See, Arabs will actually listen to people, as they most certainly don’t tune in to al-Hurra. Has anybody EVER met an Arab who got their news from al-Hurra? To be fair, I haven’t followed Al Hurra in recent months, so I am a bit out of touch with this issue and I don’t know if the Obama administration has changed direction or not. However, I would stress that Al Hurra is not the network it was back in 2004. I think it is unfair to criticize the channel on the basis of one event that happened a bit after its launching and that has been corrected since. There is ground for criticisms, but this one is unfair. You make a good point, though everything (and I do mean everything) that I’ve ever heard about Al Hurra has been universally negative. Rarely have I come across such an universal opinion on a topic from both experts and ‘lay people’ alike. Also, Obama conducted his first interview with an Arabic TV channel with Al Arabiyya and not Al Hurra (or Al Jazeera). This, I would suggest, is at best a reflection of just how marginal or ineffectual it is or at worst a damning indictment. I am far from saying that Al Hurra should be praised. Many aspects deserve criticisms, but the problem is that it is criticized when it does not enough to attract an audience or when it does not fulfil its mission, and it is also criticized when some people throw some interesting ideas to attact the audience from the Arabs, because after all, it is the target. The Larry Register’s episode was very illuminating in that sense. 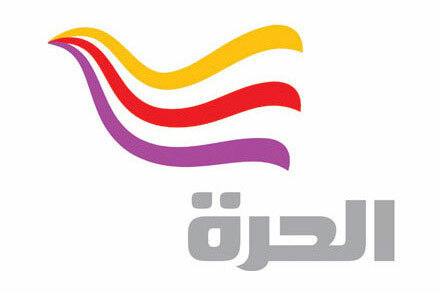 Alhurra and its sister Radio Sawa have been total failures since their inception back in 2002 and continue to be so now. Just look at the many polls that were conducted to gauge their audiences over the years; almost all of the polls underline their failure. In fact it is quoted by many of these polls that Alhurra IS the LEAST watched channel in the Middle East. I guess that the US Government continue to justify spending close to $900 million so far on both of these failed stations hoping that this will help US based audio and video equipment makers ! may be ? Alhurra keeps sucking the blood of American people. No one of the stuff is professional. When you watch Aljazeera or Alarabia and you switch the channel (by mistake), you feel like you are watching a bunch of kids playing, yes playing with the American money. And it’s such a shame to have Radio Sawa among the local stations in Lebanon.